New for November 2005! Attention, thick film chip resistor vendors! Sponsor this page, and help us add some content at the same time! Thick film components are made by screening and firing conductor and resistor "pastes" onto hard substrates, usually alumina. In thick-film technology, alumina of reduced purity is used (95%) compared to thin-film (99%). Firing temperature is usually around 850 degrees C. The resistor materiel is carbon-based (that's why the resistors appear black.) Thick film resistors can be made into chip resistors of various sizes for surface mount technology (SMT), or as part of custom thick-film hybrid networks, or even as part of a low-temperature co-fired ceramic (LTCC) part. When you buy inexpensive surface-mount chip resistors, they are almost always made in a thick film process. Thick film is an additive process, as opposed to most thin-film processes which are subtractive (chemical etching). In some thick film parts, before resistors are deposited, a conductor pattern is printed and fired first. 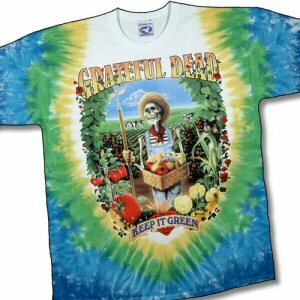 The conductor and resistor materials are deposited using a screen-printing process using a squeegee, similar to how Grateful Dead tee-shirts are made. Because it is a "low-tech" process compared to thin-film resistors, and the substrate material is lower cost, thick film resistors are almost always less expensive than thin-film. Sheet resistance of thick-film resistors can be much higher than thin films, from 20 ohms per square up to 500K ohms per square. On a custom job it is possible to use multiple pastes with widely-varying sheet resistivity, so that almost any resistance value can be accommodated, each in nearly the same small area. Thick film resistor values can be laser trimmed. Typical processes add an overcoat of glass, fired at 600C, to protect the resistor. Chip resistors are used by the billions in surface-mount technology (SMT) assemblies. They come in standard sizes, in the USA the sizes are have been standardized to dimensions in mils (thousandths of an inch). Other countries use sizes in millimeters. Sizes that are most common on microwave surface-mount boards are 0603 (60 x 30 mils) and 0805 (80 x 50 mils). Smaller resistors are available in 0402 and even 0201 formats, but handling such small parts can make your surface-mount hardware more expensive. Larger resistors such as 1205 will start to cause trouble in microwave circuits at X-band and above, because they start to be large enough so that they are no longer can be modeled as lumped elements. The ends of thick-film chip resistors are coated with conductor "wraparounds" as shown in light blue the figure below. The metal that is used is most often something that is easily solderable, and often a solder is wetted to the surface to facilitate SMT assembly. What are the wraparounds for? 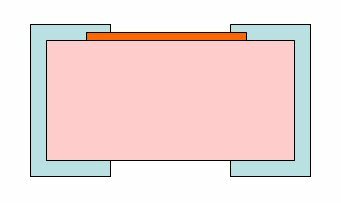 Chip resistors with wraparounds can be mounted with the resistor surface (shown in orange) either up or down. Although most "low-frequency" boards mount the resistor face-up so that they can be easily inspected, in microwave applications resistor-down mounting can mean higher frequency performance. Standard sizes for thick film chip resistors are given below, along with approximate power rating when mounted on a printed circuit board such as FR-4. High-power resistors can employ high-conductivity substrates, such as BeO or AlN, which spread heat much better than alumina and reduce temperature rise. The downside to BeO is that it is a known carcinogen, so you should avoid using it in a design whenever possible. AlN is more inert, but doesn't dissipate as well as BeO. Temperature coefficient of resistivity (TCR) for thick film resistors is usually 100 to 250 ppm. Thin-film resistors behave better over temperature.